The construction of the Aldyn-Bulak started last June. While working on the project architects relied on two major principles: environmental awareness and ethnic flavor. The complex is made up of a yurt-style restaurant, four presidential VIP yurts, seven economy-class yurts, fivechums (tents) with a fireplace, a sports ground, pergolas, saunas, souvenir shops, administration building and parking lots. 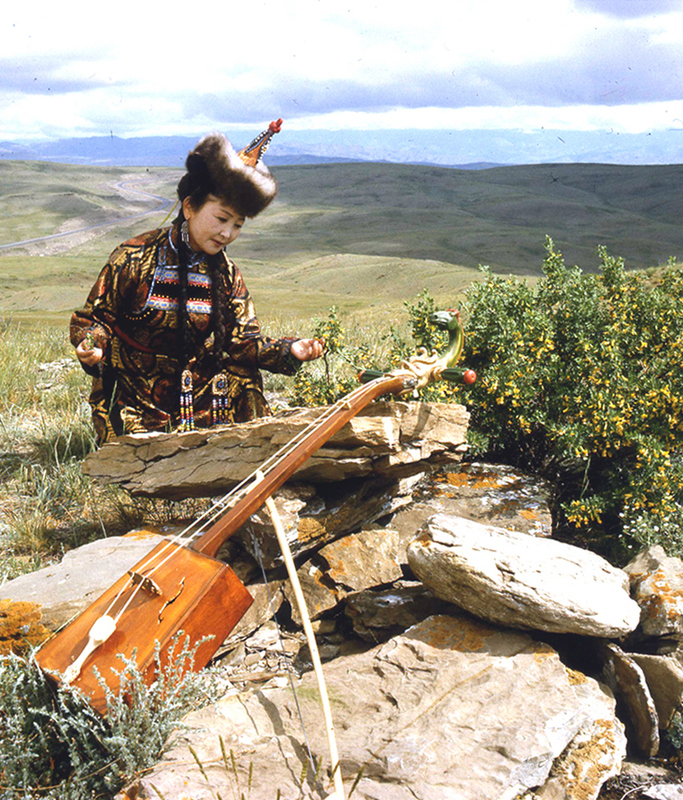 Apart from this, there is a school where one can learn the art of Khoomei,a Tuvan variant of throat singing. Khoomei is when a singer produces two or even three distinct pitches simultaneously. The centre has recently launched a symbol of throat singing – Ovaa Khoomei, depicted in the form of a golden arrow targeted upwards. 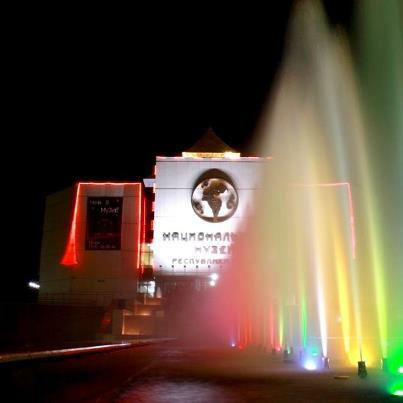 The grand opening of the International Festival of Throat Singing Performers Dembildey – 2012, with participation of guests from Japan, Mongolia, Canada, America, Norway, Spain, Australia, and Finland took place in Kyzyl, at the Tuvan National Theatre on July 6. Joan Feynman, sibling of Richard Feynman, the founder of Friends of Tuva, physicist and Nobel Laureate, became the dearest guest of the Festival. Joan Feyman came to Tuva with her husband and friends. The Head of Tuva, Sholban Kara-ool, speaking at the event, warmly expressed Joan and Richard Feynman the gratitude for their love, attention and deep feel for Tuvan culture, as well as for their contribution to popularity of Tuva. The Premier emphasized the special role of the prodigiously talented sons of Tuva - Kaigal-ool Khovalyg and Kongar-ool Ondar. Both of the performers are the Honoured Artists of Russian Federation, the National Khoomeizhys and favourites of Tuvan fellow citizens. Lazo Dovuyevich was a participant in the Second International theatric - educational festival "Nauruz", which took place last week in Kazan. On one of festival nights, he performed an old shamanic ritual kamlanie on the shore of Lake Kaban. The purpose of the ritual is to bring health to the people of our city, and that they would all live in harmony. And that children would be born intelligent, healthy and talented. Several days ago he visited the editorial office of newspaper "Kazanskie vedomosti". - Lazo Dovuyevich, was the invitation to the theatrical festival "Nauruz" unexpected for you? - Yes, I was a little bit surprised, even though I have some relationship to art. Earlier I used to play with an amateur group, with an agitation team, and in the well-known state ensemble "Sayany". I worked in the capacity of both a leader and a soloist. Generally, I had to learn many professions. My older brother taught me to work with wood, my mother - to sew and cut. When I got married and had children, I sewed their shirts and diapers myself, using an old foot-pedal sewing machine. At home, I also made everything myself - the bed, furniture. A shaman has to be able to do everything. Legendary physicist and Nobel Laureate Richard Feynman’s sister Joan Feynman arrived in Tuva. It was his love to Tuva which encouraged most Americans to visit this amazing place of the world. 84-year-old Joan Feynman will visit the festival of throat singing “Dembildey”, which will be held in the capital from 6 to 8 July. The festival is devoted to 50th anniversary of Tuvan throat singer Kongar-ool Ondar who has a close relations with the Feynmans. 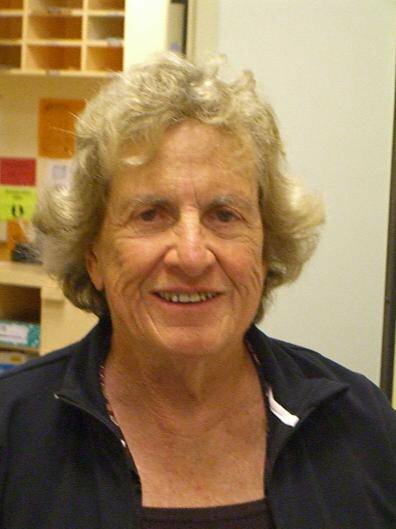 In 2010, Richard Feynman’s daughter Michelle visited Tuva. Joan Feyman is a famous astrophysicist, who specializes in interaction of solar wind and Earth’s magnetosphere. Her son is an editor at the "Popular Science Magazine". He published memoirs - "My mother is a scientist" - about his famous mother, where he described her thorny path to success in science. Richard and Joan’s mother was smart and understanding, she had marched for women’s right to vote when she was young. Producer Alexander Cheparukhin is the first man among Russian music industry representatives honored with the WOMEX Award, the International World Music Support and Development Exhibition (World Music Expo). The WOMEX Award was established in 1999 and has been presented to its winners only 13 times, Mr. Cheparukhin told the RIA Novosti. 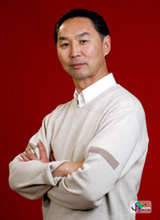 The producer receives theProfessional Excellence Award, and there is the Artist Award as well. Mr. Cheparukhin admitted he had been amazed by the news, especially since he had become the first man not only from Russia, but also from all over Eastern Europe to receive the Award. 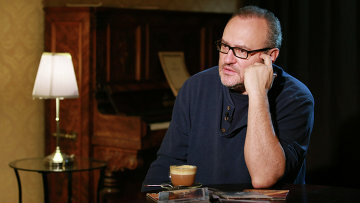 “As I was informed in the letter from the Award administrators, I’ve received the prize for contribution in Russian music propaganda and for the promotion of the best world music standards in Russia,” said Mr. Cheparukhin. The producer added, he was very pleased to get the music community recognition and he “will try to keep it up”. On the course of the past 10 years, Tuvan folkloristics, in the context of ethnography, has changed in a significant way. More exactly, it has changed under the influence of interest of Western culture in our unique folk culture. I have not thought before that the Japanese, Americans and Germans would show any interest in it or in our language. Now, representatives of these nations study Tuvan language at the TGU base with great interest. This is evidence that they, first of all, are searching for the secrets of a method of learning khoomei. Khoomei and stone carving attract great interest of many people in various corners of the planet. In the Valley of Tsars, unique cultural artifacts of ancient peole made of pure gold were found in one kurgan during a single summer. All right, let's admit, gold was well protected by the earth. But it is surprising how an intangible particle of culture, khoomei, survived throughout centuries and wars. It is the spirit of our ancestors. It is like the echo of caves and gurgling of innumerable tiny streams pouring from the crags of Silver Mountains (Mongun-Taiga - name of a mountain in Western Tuva). The book “Spiritual principles of Eurasianism. Cultural and civilizational aspects” was published in the German publishing house Lambert Academic Publishing . 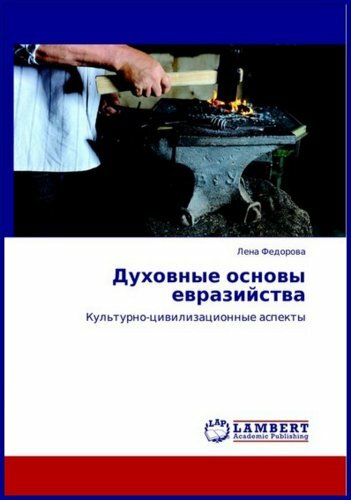 The author of the book – Lena Fyodorova is the director of Tengri Research International Foundation, the deputy director of Sakha Republic (Yakutia) Olonkho Theater, organizer of international cultural expeditions to North India, Nepal, Tibet, Xinjiang, Central Asia, Siberia and Mongolia. 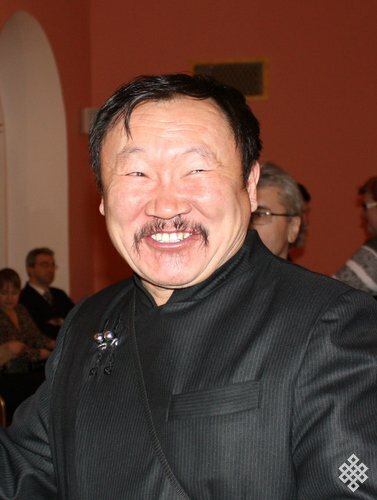 Referring to the works of famous religious scholars, particularly of the Kazakh Scientist N. G. Ayupov, the author of the book considers tengrism as a holistic worldview which reflects the unity of the world and man, the unity of their essential power, which includes religious and mythological convictions as well as the results scientific and practical works. The book also includes the cognitive images of psychic and intellectual activity of man as well as the metaphysics of exchange. 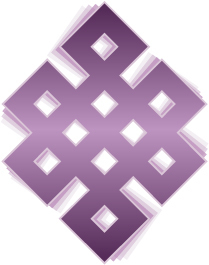 This allows to show all the aspects of tengrism in their unity and variety, universality and uniqueness. Commencing from July, 1 to August, 30 the National Museum of the Republic of Tuva starts the summer campaign “Night Museum”, which implies its working hours’ extension until 9.00 pm every Thursday during the period. All of the museum rooms are to be available for visitors, including the hall “Treasures of the Valley of Kings”. The campaign is run upon recommendation of the Ministry of Culture of Russia and designed to attract visitors during evening hours. We hope the “Night Museum” will find its followers and will take its place among all the campaigns held by the National Museum. 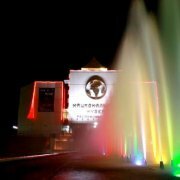 We invite everyone to attend the first “Night Museum” evening which is to be on July, 5. Doors open from 10.00 am till 9.00 pm. In case of positive response the campaign could become an annual event. The summer training for young scholars majoring in Mongolian studies launched on Thursday for the tenth time. Co-organized by the National Association on Mongolian Studies and the Mongolian State University of Education, this year's training is attended by 24 scholars from the USA, Russia, Poland, China, Japan, the Republic of Korea and Turkey. They will be lectured by outstanding teachers and scholars of the Academy of Sciences, the Mongolian State University, the Mongolian State University of Education and the University of Agriculture on Mongolian on subjects of history, culture, religion, literature, archeology and nomadic economy. 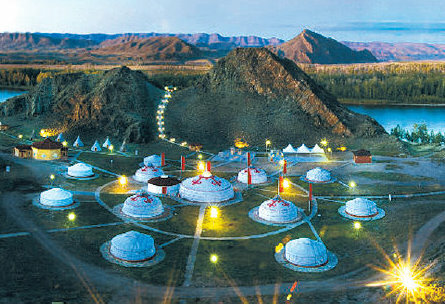 Furthermore, the trainees will get acquainted with the Mongolian traditional lifestyle. 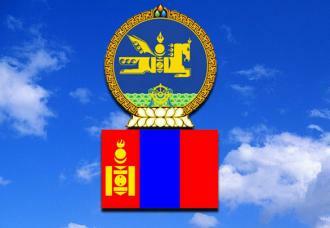 It gives to them a chance to cooperate with many scholars of scientific organizations of Mongolia. The training will last until July 14. 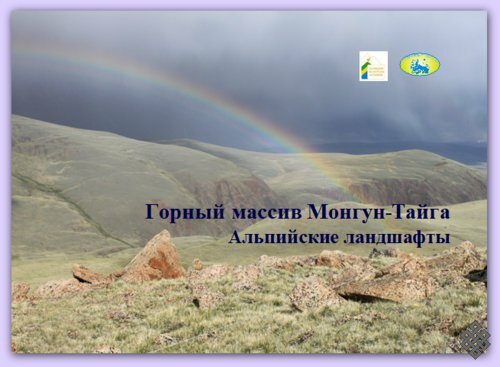 The scientists of the Ubsunur center published the photo album “The Mongun-Taiga massif. Alpine landscape” (Abakan. Journalist, 2012) specially for the 10th International Ubsunur symposium “Ecosystems of Central Asia: research, conservation and rational exploitation” (July 3-8, 2012, Kyzyl), devoted to the 20th anniversary of the Tyva Republic and SB RAS biospheric research International Ubsunur Center. The album contains the results of the alpine ecosystems monitoring such as the elements of the Upper Shara-Kharagai River landscape and flora. The scientists described the landscapes of the four tops the Mongun-Taiga massif and almost all the kinds of plants they met on the research area. The kinds of the plants were given Russin and Latin names. The work was done with the help of the Ubsunur Hollow Reserve staff. The album has 374 pages, number of copies is 500. The price for one copy is 300 rubles. 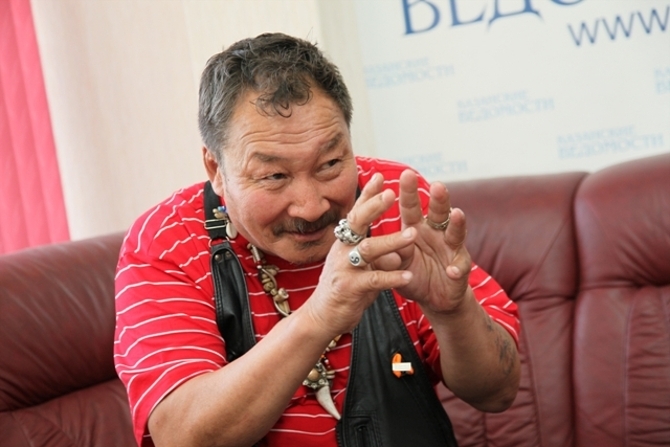 The grand opening of the International Festival of Throat Singing Performers Dembildey – 2012 to take place onstage at the National Theatre named after Victor Kok-ool on the 6th of July in Kyzyl. The Ministry of Culture of the Republic of Tuva, Kyzyl City Hall and the Center of Development of Tuvan Traditional Culture and Crafts are the founders of the event. 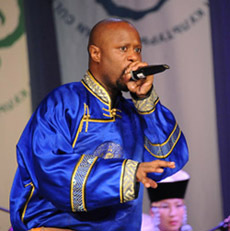 The main goals of the Festival - supporting new names and teams among throat singing artists, development and improvement of interregional and international cultural relations, providing opportunities for sharing experiences, raising the professional level of the throat singers as well as creativity support for ornamental artists. Dembildey - 2012 is dedicated to the 50th anniversary of the Honored Artist of Russian Federation, National Khoomeyzhi of the Republic of Tuva, Honored Worker of Education of the Republic of Tuva, Laureate of State Prize of the Republic of Tuva, the director of the Center of Development of Tuvan Traditional Culture and Crafts Kongar-ool Ondar. Announcement - Release of New Issue of "New research of Tuva"
We are happy to inform you about the release of the newest issue of the “New Research of Tuva” electronic magazine — #2 for 2012. The key category in this issue is “Times of change”, in which we published articles by a politician, musician, postgraduate and students. 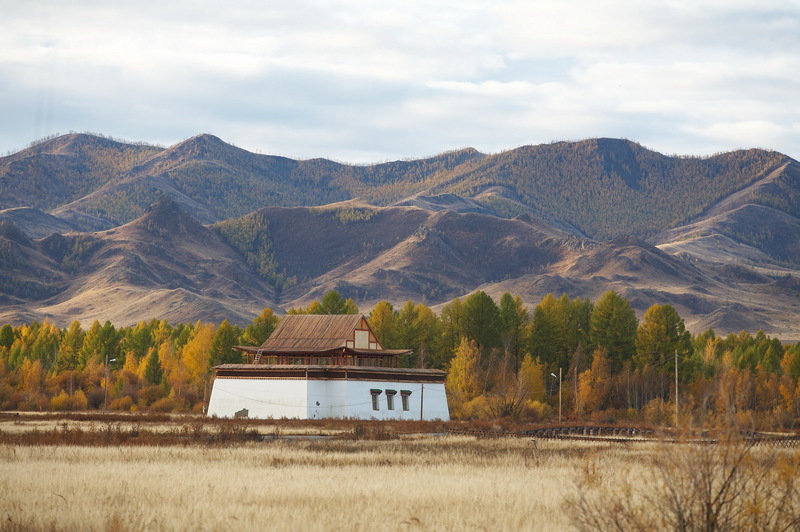 We also added interesting messages about new Tuvinology publications, web-sites that could be of interest for the researchers of Tuvan language and literature. PDF version of the issue is 117 pages. We continue to accept materials for the following issue of the journal — #3 for 2012. We are also prepared to accept preliminary announcements of publications, according to agreement with the authors. II. Prayer services, rituals, ceremonies dedicated to the discovery of Temple Ustuu Khuree will held from 23 to 26 July. III. 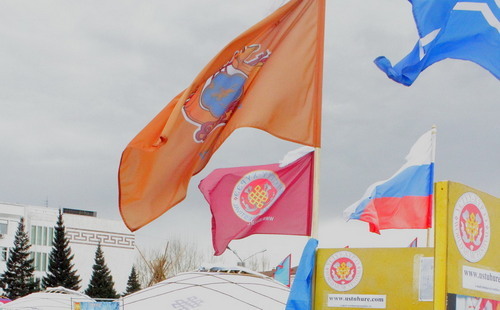 The strongest fighters of the country will meet in battle in honor of the revived Ustuu-Khuree from 23 to 26 July. IV. Hundreds of horses will gallop on the steppe Bora – Khol, kicking up dust, reminding us of former greatness and beauty of the Temple festivals from 23 to 26 July 2012. V. Musicians’ performances, prayers, ancient methods of fighting, racing horses are repentance and offering of people to the long-suffering Temple, chanting and bowing memory to Hung Noyon Buyan Badyrgy will be from 23 to July 26, 2012. Do not forget about the Ustuu-Huree! It is hard to underestimate the Ustuu-Huree temple reconstruction idea. The temple is of a great importance for people of Daa Kozhuun, also of Sut-Holskiy, Dzun-Hemchikskiy, Ovyurskiy, Bay-Taiginskiy, Mongun-Taiginskiy, Barun-Hemichskiy, Chaa-Holskiy, Ulug-Hemskiy kozhuuns. In older generation’s memory, the Ustuu-Huree temple and everything associated with it stays as a reminiscence of the great holy site. Not many witnesses and beholders of the temple’s prosperity have left. All these, is the result of totalitarian regime. Those boys, who came to the Ustuu-Huree in its prosperous times as monks have already left this world, therefore almost nobody’s left. My wife Sophia’s father, while being a child was received there as a huuraki, but held out only for a few months: he was send back home hence being naughty. The temple was a privileged place and not everybody had an opportunity to study there: only diligent and talented children were accepted. It is hard to explain what this sound resembles. Certainly, it is like a cloud of falling splashes: if each of the splashes had its own voice, it would probably sound like this. Or the cries of a flock of tiny birds. Or the call of some overwhelming feeling: sweetly alarming, disturbing. Or…and then the sound entered the workshop. It entered and shattered the space. The girls brought in a dress. Silk, dark blue, embroidered with white beads, and…jingle-bells. And that is what sang in many voices with every movement. Delicate, tremulous.